My name is Christine and I have been "flirting" with poetry for about a year now. In March 2011 I was diagnosed with MS and I am now embarking on a process of recovery both physically and emotionally. Recovery is a long, slow and sometimes difficult path, but can also be life changing, as I have already discovered in my recovery from alcoholism. My first task has been acceptance, which some days can be a little shaky as far as the MS goes, but I am getting there. Embracing my condition rather than wrestling with it has been important, but equally I will not allow it to define who I am. I am hoping the poetry will help with this. I know very little about poetry and its various forms etc, but I am reading and learning. So I write my poems as therapy for the MS and also because sometimes it is simply fun to do, especially as I now spend more time at home. This is a big step for me, letting others read my poems. I hope you enjoy them and they make some sense. 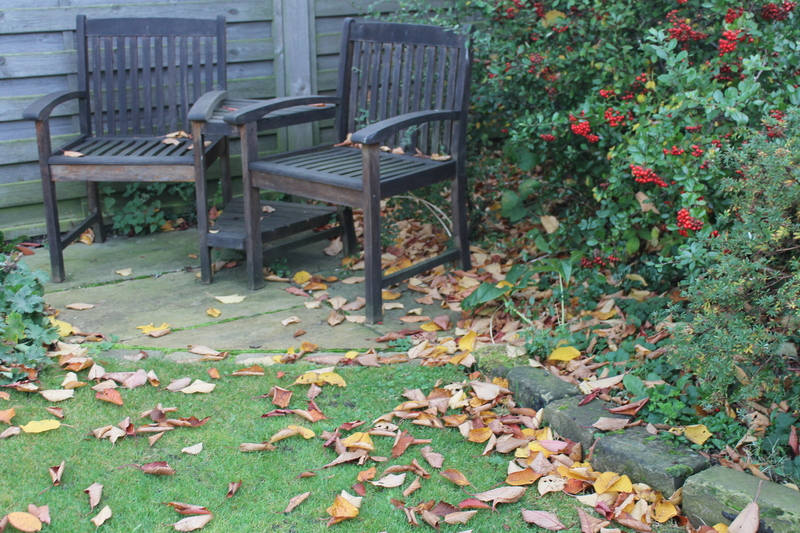 This entry was posted in Uncategorized and tagged autumn, autumn settling, garden, garden seats, golden snow, leaves, snow. Bookmark the permalink.